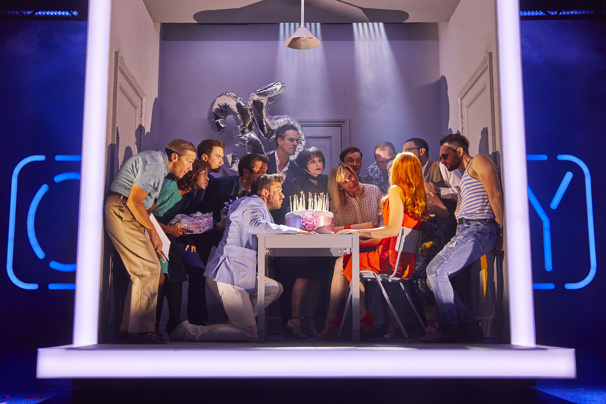 Marianne Elliott's acclaimed, gender-swapped staging of Stephen Sondheim and George Furth's Company has earned four nominations for the 2018 Evening Standard Awards, which toasts the best in London theater. The celebrated production leads the way of the nominations, with nods for director Elliott, actress Rosalie Craig (who portrays "Bobbie"), designer Bunny Christie and a nom for the show itself. Other nominees of note include Bryan Cranston for his turn in Network (which he will soon reprise on Broadway), Adrienne Warren for the Broadway-bound Tina and Kelli O'Hara for her Tony-winning turn in The King and I, along with a pair of nominations for the smash-hit musical Hamilton. The winners will be announced on November 18 at a ceremony held at the Theatre Royal, Drury Lane in London. The awards will be hosted by Evening Standard owner, Evgeny Lebedev, with co-hosts Dame Anna Wintour, Claire Foy and Idris Elba. The full list of 2018 Evening Standard nominees can be found below.